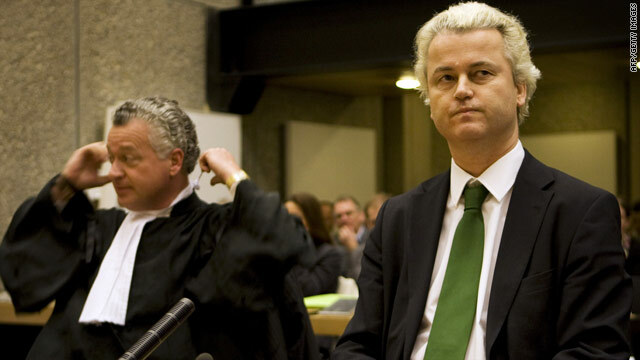 Geert Wilders appears in court in Amsterdam. (CNN) -- Controversial Dutch lawmaker Geert Wilders appeared in court Wednesday on charges of inciting discrimination and hatred that relate in part to his much-criticized film about Islam. Wednesday's session at the Court of Amsterdam was a pre-trial hearing and a full trial was due to begin later this year. A court spokesman said the hearing was expected to last one day but could stretch into Thursday. Wilders, who heads the Dutch Party for Freedom, said he has done nothing wrong. "I will fight," he promised in a statement Tuesday on the party's Web site. Prosecutors initially decided not to pursue the case, saying in June 2008 that Wilders' statements were not liable to punishment, the Public Prosecutions Service said. They said that even though Wilders' comments were "defamatory and hurtful to a great number of Muslims," they fell within the limits of free speech. The Court of Appeals disagreed with that decision and ordered that Wilders be prosecuted. In addition to inciting discrimination and hatred, Wilders is also charged with offending a group of people, which relates to his comparison of Islam to Nazism. "According to Wilders, the truth about Islam must be made known, even if it is painful and unpleasant for certain people," his statement on his party's site said. The charges relate to comments Wilders made in a variety of media between 2006 and 2008. They include an October 2006 interview with the Dutch newspaper De Volkskrant in which he said he wanted to stop the "tsunami of Islamisation," and another in September 2007 with Radio Netherlands in which he said the Quran should be banned. Wilders' film "Fitna," which he released online in March 2008 to international outcry, is also part of the charges against him. The film features disturbing images of terrorist acts superimposed over verses from the Quran in order to paint Islam as a threat to Western society. After its release, the movie drew complaints from the European Union and the Organization of the Islamic Conference, as well as concern from the United States. Wilders was denied entry into Britain in February 2009 when he flew there to screen the film. Wednesday's pre-trial review does not cover the merits of the case, but will allow both sides to prepare for a hearing later in the year which will deal with the merits, the Public Prosecutions Service said. If found guilty, Wilders faces up to two years in prison and a fine of up to €19,000 ($26,900) for each charge.